In 1898 the W.A.G.R. 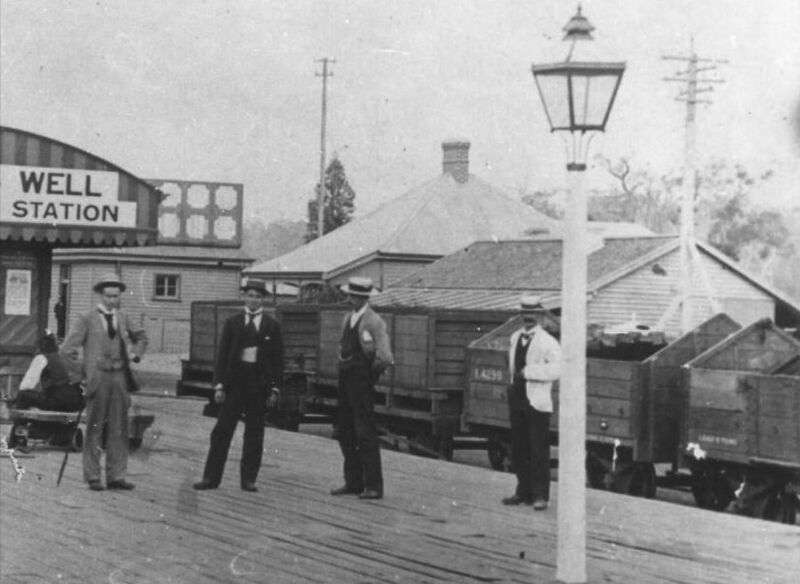 took over the stock of the Great Southern Railway. Many of the G.S.R. 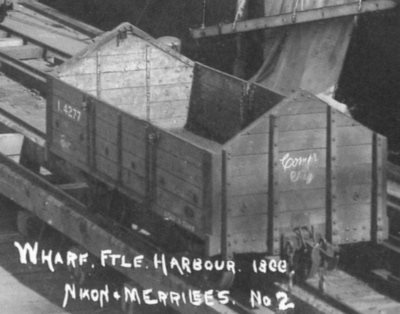 wagons were built on a standard 14'-0" long underframe, as were these high-sided wagons. They were unique in having gable ends and ridgepoles although in many cases the ridgepoles were removed. The same design were also used by the M.R.W.A. as their class A. The original GSR numbers and the class letter of this group are not known. It is believed that the original W.A.G.R. number sequence for these wagons was 4201-4240 and 4266-4315. In the 1900 renumbering 4229 was listed as a J class tanker and 4232 is missing. Number 4276 was rebuilt into an F class louvre van at about the same time (1900/01). Before 1906 number 4236 was also out of service. 4217, 4227, 4309 to JETTY 330-332 but note that Jetty stock dates of the last two are 1952 and 1953 whilst the other is unknown. I find it hard to believe that one of these wagons lasted until 1970 and I am a bit dubious about the other late survivors but that is what the record cards suggest! The late survivors could possibly be standard N.Z.R. type G's which had somehow acquired numbers in this series. This is possible because of the sale and repurchase of wagons to contractors.